The Rift Valley is one of the wonders of the world, stretching from the Middle East, down through Africa, reaching as far as Mozambique. The staggering view, as you approach from Nairobi, Kenya is quite unbelievable. The ground suddenly disappears from under you to show the huge expanse of the great rift, stretching for thousands of miles in either direction. The first lake approached is the beautiful, deep-green Lake Naivasha.Lake Naivasha Basin holds two small National Parks, both of which are well worth a visit,ie Mount Longonot National Park is based around a young volcano, which rises up to 2,776 meters and Hell's Gate National Park. Famous for its natural hot geysers, eagle and vulture breeding grounds, obsidian deposits and extinct volcanoes, it is possible to walk, game drive, camp, cycle and rock climb within the park. Beautiful rock gorges and natural steam vents add to the beauty of this tiny, 68 square km. Park. 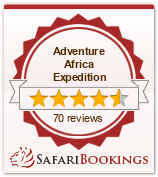 Game to view includes hyrax, buffalo, giraffe, eland, Hartebeest, lion and leopard. As with all of the Rift Valley Parks, Hell's Gate is also an ornithologist's dream. The cliffs of Hell's Gate are the breeding grounds for vultures, Verreaux Eagles, Auger Buzzards and thousands of swifts. Heading further northwest, Lake Nakuru is the next stop. This world famous Park was created to protect its stunning flocks of lesser flamingo, which literally turn the lake shore pink in color. The park spans an attractive range of wooded and bush grassland around the lake, offering a wide range of Eco-diversity. Notable game within the lake area is hippo and the diverse bird life. Both black and white rhino are now resident in the sanctuary and Rothschild giraffe, buffalo, impala, eland, warthog, Mountain Reedbuck, klipspringers and Black and White Colobus Monkeys are all plentiful. This park is world-renowned and is a beacon for ornithologists, scientists and wildlife filmmakers. The next lake jewel scattered along the Rift Valley floor is Lake Bogoria. Most of this reserve is covered by the lake itself, which is a spectacular sight, reflecting searing blue skies and the rose pink of flamingo. With over 135 species of bird recorded, the area is of significant ornithological interest. As does Lake Nakuru, Bogoria waters grow rich blue-green algae, which seasonally attracts thousands of flamingos. The surrounding bushed grasslands are home to a number of animals, most notably the very rare Greater Kudu antelope. The tiny Lake Kamnarok Reserve is the last stop on this circuit. Lake Kamnarok has a diverse landscape centred around a 4,000-foot deep valley with semi-tropical vegetation on the sides contrasting with the dry thorn bush at its base. Here you can find bush pigs, waterbuck, buffalo, elephant, pelicans and grebes. With a huge variety of landscapes, activities, accommodation and wildlife, the Rift Valley Lakes area is an excellent part of any safari holiday.